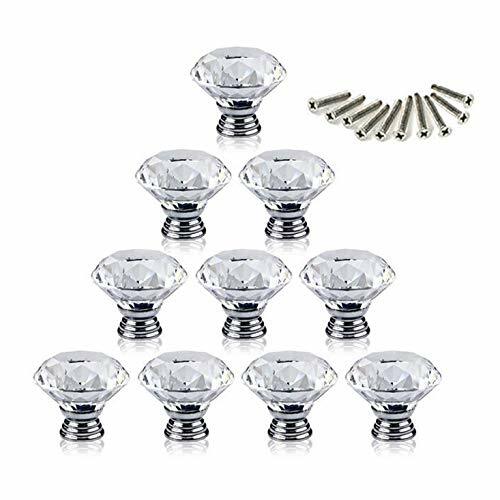 Clear cut crystal glass and alloy base, shiny polished chrome, glittering and sparking, diamond shape, good decoration for your home or office. Fit for cabinet dresser drawers cupboard wardrobe bookcase etc,give your furniture a sparkly new looking. Find the position where you want to install on the board and drill a hole , then pass through the screw from the back of board anf thread tight to the knob. Be careful during the work. If you have any questions about this product by WOTOY, contact us by completing and submitting the form below. If you are looking for a specif part number, please include it with your message.